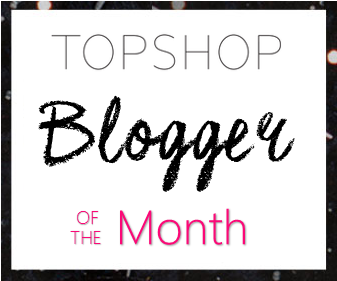 Earlier in the week I received a lovely email from Topshop to say that I was their "blogger of the month" for February. I couldn't quite believe it, I never win anything, but my quest to find my perfect jeans in Topshop earned me a lovely Topshop gift card. What did I spend it on, another pair of jeans of course and maybe a few other things. I have been trying to find a flattering pair of boyfriend jeans for about 3 years now, when I have tried them I just look like a little girl trying her dad's jeans on. So, to my pleasure I found Topshop are now doing a slim leg boyfriend jean, MOTO LUCAS SLIM BOYFRIEND JEANS, could these be the answer to my prayers? I have put together a little inspiration for two Mother's Day outfits featuring the Topshop Lucas boyfriend jeans and other Topshop delights I may have ordered. A paired down sweatshirt given an extra Je ne sais quoi with this Lover logo (reminds me of the Bella Freud jumpers I love, but cannot afford) a statement flat and a little bit of glamour with these gorgeous earrings. A pretty top, I adore this Isabel Marant like Topshop blouse, a cute kitten heel shoe (how fabulous are these!) and again some pretty tassel earring. Do you like my outfit inspiration, both I feel are pretty chic. Which one should I wear, well it depends on what my loved ones have planned for me and if the jeans suit me, if they fail, I have my Jamie ripped jeans to fall back on....... you can hopefully see my outfit choice on Sunday. Have a wonderful Mother's day, we all deserve it! Gorgeous choices - I like these what to wear posts! They give us new ideas - I get stuck in a rut with my combinations so this sort of thing is great for inspiration. I don't shop at Topshop often but I love everything you've selected and will have a look now for myself. Well done on the blogging award! 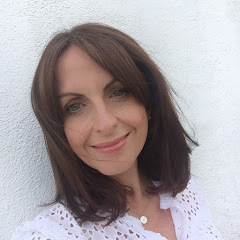 Yay huge congratulations Annmarie for being blogger of the month :-) I can't wait to see what you've purchased with your gift card. I love both outfit choices & can't wait to see what you wear. Have a wonderful weekend & Mother's Day. Well done you! I can't wait to see what you choose. Yes I have Sue, wearing them today so you will guess what outfit I did choose to wear. I am loving my Lille flats, the Navy colourway I am chuffed with, so hard to find navy shoes that don't look like queen mother special court shoes. Do you like yours? ?